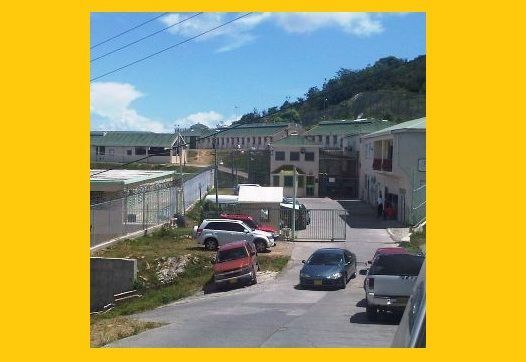 You are here: Virgin Islands News Online » News » Shake-up at HM Prison coming! Acting Superintendent of Prisons Charles L. Forbes held his first general staff members meeting on Wednesday, January 2, 2013 where he unveiled a number of new plans, which he deem necessary to improve the prison service in the Virgin Islands. Mr. Charles ascended to the position following the passing of the late Superintendent of Prisons Richard Dacosta Holder. At that time Charles was Deputy Superintendent of Prisons. According to authentic sources in the Ministry of Education, under which Her Majesty’s Prison falls, the first new change that will take effect very soon is the change of the shift system. This change will see officers working twelve (12) hours shift as opposed to the customary eight (8) hours shifts which ran from 6 A.M. to 2 P.M., 2 P.M. to 10P.M. and 10 P.M. to 6 A.M.
With the new systems taking effect, the twelve (12) hour shift will run from 6 A.M. to 6 P.M. This allows officers to work four days on and four days off. Questioned about the reaction of officers to this new development, this news agency was told, “Well you know that changes are not always greeted with all arms open wide, however, there were those who welcomed it, those who didn’t and those whose reaction was that of silence,” said the source. It is also anticipated that there are likely to be some upsets as recommendations are likely to be made to fill some vacant positions of Principal Officers and Sergeants. “What he (Mr. Charles Forbes) said about this is that he is going to be advocating with the Ministry to have those positions filled,” the source added. This issue of back-logged vacation was one that was met with high levels of “mumbles”. The source said that the new Superintendant had made it placidly clear that officers with back-logged vacation must utilise same within a given timeframe. The chronic problem of officers abusing sick leave periods was a feet-tapping topic at the meeting. Several questions were fielded to the new man-in-charge which were said to have been amicably discussed and Sup. Forbes attempted to make officers comfortable with his responses. He had told the officers that it is most likely that the workforce at the prison will be improved as he’ll be lobbying for additional staff. I am not convinced this is a wise move. Are prison guards not expected to be vigilant at all times? I don't know about anyone else, but I have worked a lot of long days and I can tell you from first hand experience that it is not humanly possible to remain vigilant for 12 hours straight on a regular basis. It also completely disrupts the family dynamic for married officers with children. Four days a week they won't see their daddy! Don't we have enough absentee fathers? What is the point of this anyway? How does the system benefit? Perhaps if the reason behind this change were explained and the benefits (if any) were made apparent, then people might support it. That is known as a compressed work week! Firstly in the field that these officers are in they are supposed to be more mentally and physically prepared to undertake these type of duty rotations. This is not a trust company this is a branch of national security. Secondly the family dynamic has to be dealt with accordingly. officers will not work all morning shifts or all evening shifts so if he is a family man he needs to adjust his family interaction and activities to his schedule. Again this is not Harneys this is HMP you signed up for it there are certain sacrifices that must be made. Third the benefits of such moves are fairly obvious better functionality at the prison with the 8 hr shifts something was not working right so therefore management chose to change things. Lastly I hope when you say people you mean the staff at the prison because at the end of the day, you or I do not need to know what or who prompted these changes, We the people need only be concerned that our prison is functioning, that there's some sort of reform for inmates and its secure. I agree with you 100% I have been saying this myself for years but NO ONE wants to listen especially our Govt members. Yes, and exactly how many officers have second jobs. Can't have it both ways. Most grumbles will no doubt be about the disruption of secondary employment, and nothing to do with alertness. Confucius was stated to be a wise man...he never assumed anything. How can you be convinced if this is a wise move or not, if it's never been tried. Everyone is expected to be vigilant at all times. If my recollection serves me correctly, a prisoner escaped not too long ago from this said facility, with VIGILANT AT ALL TIMES GUARDS WHO WERE WORKING 8 HOUR SHIFTS CORRECT? I'm not saying this cannot happen working a 12-hr shift, but if you are going to give a valid argument as to why something is not wise, be wise and give it a try first. I don't see how this disrupts an officer's life, and how their children won't see them either. There's 24 hr. in the day, They're only spending 12 away from home a day and get to spend the remaining 12 at home with their family. And it's really hilarious that you believe working 12 hrs a day at a prison will make you an ABSENTEE FATHER! Hmmm makes me wonder just how INTERNATIONAL AIRLINE PILOTS, SURGEONS, EMERGENCY ROOM NURSES AND DOCTORS DO IT EVERYDAY. There must be a lot of ABSENTEE PARENTS ALL OVER THE WORLD WITH ABANDONED CHILDREN AND SPOUSES SEVERELY DISRUPTED!! CLOSE THE HOSPITALS LET THESE HEALTH WORKERS RETURN TO THEIR FAMILIES. CANCEL ALL INTERNATIONAL FLIGHTS, TOO MANY CHILDREN WITHOUT THEIR FATHERS! Sounds absolutely ridiculous doesn't it! Ah who you dem need to care if you ting tis a good idea or not? Confucius, You have hit the nail right on the head. Only yesterday I had this discussion, of what I have saw in the open public of the prison officers. It had two prisioner cut the grass and bushes at the side of the road while the one office stand looking on. WHile I pass by I had to say What is that, the people in the vehile laugh and say only in the BVI. THe two prisoner is armed with matchets and the officer with his two long empty hand. I believe each Prison Officer needs to have some degree in Physicology and good common sense. That prison is two lay back and trusting. Talk about a twelve hour shift, Lawd give me Jesus. We done face with long of delinquent fathers, who just go home eat , watch Tv, SLEEP wake up next day and do the same thing. THen months later find them children failing school and them wife dating some body else. Confucius send some a them good breeze from West up to Balo. We don't want to know all this news about improving on what Holder left, we want to know when our love ones will be out!. Four days off Confucius. I think the 12hr shift can be handled if officers apply themselves to their jobs. 6 am to 6 pm, when the Officer will get a chance to pay them bills etc. The old shift sound much better 6 am-2.00pn m 2 pm to 10 pm and 10 pm to 6 pm. I don't see a thing wrong with tha. four days off @$$. read. Hot bunking, and doing manual labour in the community wearing bright pink would also be a great deterrent to any young man thinking of deviating from the straight and narrow path. To X ray: After they serve their time they willl come out fool. I think if people will learn how to try something first before discrediting it, they would be a amazingly surprised! As a nurse, I've worked rotating 12-hour shifts and welcomed those four days off. I especially enjoyed when I had all my weekends off for an entire month, because with 12-hr shifts, 4 days on 4 days off, you get all your weekends off every other month (it works out that way). You also never work the exact same 4 days, and you also got 4 days off to schedule appointments, pay bills, and spend time doing things with your family. The good thing about trying something is if it doesn't work out, it can always be tweaked until it's perfected, BUT IT MUST BE TRIED FIRST! People are always OPPOSED to change yet constantly complain about IMPROVING CONDITIONS. A COWARD openly OPPOSES change yet secretly creates internal FRICTION that FIGHTS against the CHANGE, thus LIMITING PROGRESS! You cannot tell if something will work if you've never tried it or prevent others from trying it. Our job as elements of any group is to work with those chosen or willing to LEAD, and if something tried fails, to undergird and adjust, not undermine, modify and implement all the necessary changes needed in order to go forward. i want some one to tell me from 6.00pm to 6:00am if you can upset with a man when he fall asleep by 2:00am. would the officer be rotated during that 12 hour shift at their post? or they will be expected to go the full distance? inquiring minds want to know? a prison is not a fire station so i'm not sure how those long night shift will work out. time will tell. All I want for us as officers is to be paid WELL and be offered the SAME allowances as police or whoever else. Then Everything can fall GOOD!!! The pay for officers leave many of us no choice but to seek additional employment. The shifts won't be bad, we just have to give it a try. Intereating move Superintendent but can expect from you any of the following: any changing of the guards? Will there be a nonsense, stronger and tougher leadership style or same old, same old one-of-the guys type of style? What about those prisoners with cell phones in the cells? Can we expect continued discipline with the officers? Well said Mr. Forbes. Take the bull by the horn some areas of the police force work the 12hr shift and the officers loves it. Changes must come if any agency wishes 2 improve in its operations. Supt. Forbes u are on the right track. Stay focus. Anyone with this much information about prison affairs, and who blatantly publicizes derogatory remarks and animosity towards another, can only be characterized as an AGITATOR and a POTENTIAL TRAITOR to an establishment such as this. Malicious defamation of another's character, or of one's place of employment, whether true or untrue, honest or dishonest, speaks volume to the hearers that the orator of the blasphemous statements CANNOT and SHOULD NOT BE TRUSTED! A concerned employee who desires to see his place of employment IMPROVE and EXCEL, works with his or her leaders, supervisors, and fellow employees to elevate the establishment, by offering CONSTRUCTIVE SUGGESTIONS in a PROFESSIONAL MANNER, which can be orally or in written format! To seek to intentionally UNDERMINE AND DESTROY any attempts of another individual or individuals efforts to improve conditions in a facility one works for, is to IGNORANTLY SEEK TO DESTROY ONES OWN SELF IN THE PROCESS. The success of a company, institution or business is determined by the type of employees they hire and the quality of service and genuine commitment their employees exhibit towards their assigned duties. Publicizing this type of information should NOT be TOLERATED and can be considered a BREACH OF CONTRACT, and should be AUTOMATIC GROUNDS FOR TERMINATION if the individual writing this comment is an HMS Prison employee! It takes courage to blow the whistle on corrupt practice. To An Observer, it is not bravery nor courage to silence those seeking to highlight wrongs. Perhaps if there were more whistle blowers in these islands, then those that are corrupt would have prosecutions to fear, and amend thier greedy ways. @ Supporter, I've changed my nickname "An observer," because it is being used by another blogger for whatever reason! In response to your comments on my post dated (07/01/2013), Blowing the whistle on corruption does not negate this type of ranting on a public forum. There are proper channels for doing so without revealing one's identity, and if so desired, revealing one's identity. If one is aware of a pending riot, or other form of corruption, that could possibly endanger employees and other prisoners, then the proper authorities should be informed immediately!! To avoid doing this is BEING PART OF THE PROBLEM!!! However, in my line of work, and I am a prison worker, it has been a common occurrence that the problem with corrupt practices is, they are always there and no one addresses them until the said individual or individuals who were aware of them from the beginning feels threatened for whatever reason, usually because they are involved! Then in an effort to throw suspicion off themselves and others involved, creates smoke screens to agitate and instigate suspicion on others. I APPLAUD highlighting wrongdoing, it's MALICE that I detest! Practices such as these should not be tolerated anywhere. If the individual who as you would like to call it, would like to "blow the whistle on corrupt practice" was as concerned as he/she stated, then in an effort to protect himself/herself, fellow employees and prisoners, he/she would not be on here creating smoke signals, but would be seriously sitting down with the proper authorities discussing the issues in an effort to quell any possible disaster, (RIOT) as he/she stated in his/her comments. Every employee (senior and under) who work at these types of institutions and facilities should be GIVEN A WRITTEN JOB DESCRIPTION, TO INCLUDE THEIR RESPONSIBILITIES AS AN EMPLOYEE AND THEIR RESPONSIBILITY FOR PROTECTING THE SAFETY OF THEIR COMMUNITY. IN ADDITION, THEY SHOULD BE PSYCHOLOGICALLY SCREENED on a regular basis, because if the individual who wrote those comments that you are defending has proof of all these accusations, HE/SHE SHOULD BE HELD RESPONSIBLE FOR ANY ILL-EFFECTS THAT MAY ARISE AND AFFECT THE COMMUNITY, DUE TO FAILURE TO REPORT TO THE CORRECT AUTHORITIES!!! @An observer. I agree with you that corruption is always there. The important message in tackling and reducing corruption is the deterent fear of being caught and prosecuted. Although anti corruption policies contain many unfavourable policies, for example informant telephone lines, and internal monitoring of staff, the fight is a worthwhile one. Good, honest Officers such as yourself should not have to put up with corruption in any form. As regards the use of Blog sites to get the message out, we are a small place, and the problems of witness identity continue to challenge our legal system. Some have to change thier views of people who are prepared to stand up and be counted, by any means.